Life as a B2C professional is fast-paced and exciting. There’s never a dull moment. This is especially true if you manage your or your company’s graphic design and photo editing. What could be more enticing than working with colorful, beautiful photos and graphics? Even with all of the benefits that photo editing and management bring, there are times when it can be very stressful to figure it all out in the graphic design world. It can be especially challenging to try to find great software to meet your needs, especially if you are working with a tight budget. Thankfully, there are free online tools that are so user-friendly you can start working with them today – and with premium-level results. Here are my three favorites that I have relied on during my four years in the digital marketing realm. Canva has long been a favorite tool of mine, especially when it comes to creating and sourcing attractive photos and digital assets for marketing purposes. As someone with no formal training in graphic design, the user-friendliness of the Canva site is much appreciated, especially when I am trying to create quality graphics and text-based visuals for a time-sensitive deliverable. I have found that Canva is also an excellent place to source free-to-use images, as there is a decent sized library of stock photos and drawings that can be quickly integrated into your design for legal use. For marketers who want an even more thorough experience, Canva has “pro” offerings that seem to be surprisingly flexible and affordable. Signing up to use Canva and learning to use the site is a breeze, so you really have nothing to lose by trying it out. I think that Google Photos is underappreciated at times. 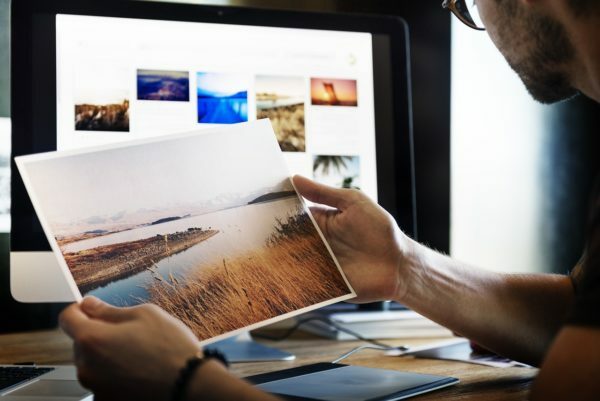 While Google Drive is becoming more and more popular in the B2C space and in other fields, it seems that other well-known services are still more popular overall for photo storage than Google Photos is. I think that this is a huge mistake, and here’s why. Google Photos offers unlimited storage for both photos and videos in the cloud. It also has basic editing and formatting features that are user-friendly, and organizing photos is ridiculously simple. Of course, you must have a G-Mail account to utilize all that Google Photos has to offer, but signing up is quite simple – and honestly, if you don’t already have a G-Mail account in 2018, you need to get one yesterday. Android users can especially benefit from this application if they use their phones for their B2C needs. I highly suggest Google Photos for anyone who is frustrated with their current photo storage and organization tool. For being a free alternative to Adobe Photoshop, GIMP really offers a fantastic array of tools to edit and enhance images. From airbrushing to cropping to changing formats, I find it hard to even see a difference between Photoshop and GIMP – and the fact that GIMP is free should make it hard to resist at least trying it out. There are even add-ons such as GIMP Paint Studio that make this program an even more indispensable tool for graphic designers and marketers who are looking for a full-feature editing studio but might not be able to budget for something as completely advanced as Photoshop. Hopefully, these tools will help you to better navigate the often-stressful world of photo management and graphic design. Whether you need to quickly whip up a creative resume on Canva or make a photo look more professional with GIMP, these tools can help you get the job done in less time – and even with a $0 budget.